Professionally, I have a lot to do with efficiency and effectiveness. Krav Maga is for me the most effective self-defense system, which I know. It includes all variations of skillful self-defense. No ‘bounced’ or ‘pre-cut’ figures, no frills. 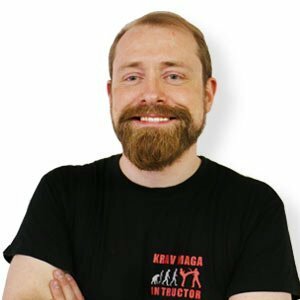 In addition to the self-defense under “real conditions” and a rapidly increasing fitness, Krav Maga is a super compensation to the conventional everyday life! For me, still the first choice in sports, fitness and self-defense!